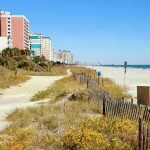 Charleston is one of South Carolina’s best towns. Rated as one of the best cities in America every year, Charleston is one of the gems we have the pleasure of having in the Palmetto State. And, if you’re like us, you’d like to perhaps live here one day (even if it’s just for a visit). If you’re going to do that, look no further than these charming and fun apartments and townhouses that we found. Historic, beautiful and chic, all of these are sure to impress. Spotted over on the popular VRBO website, this apartment took our breath away when we saw it. 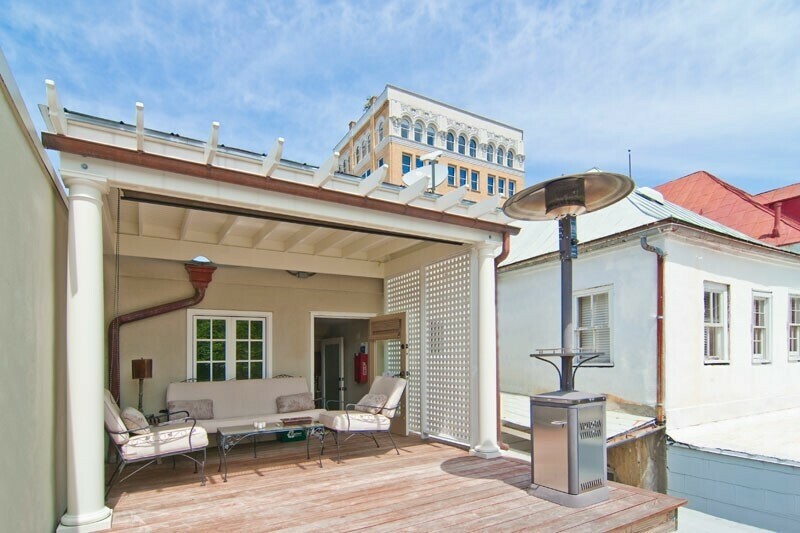 Right in the middle of everything happening in Charleston, you can rent this lovely spot from $175/night but hits over $400 during peak times. With such amazing little details like exposed brick and an open kitchen, this little gem of an place is a sure win when staying in town. Spotted over on VRBO, we were taken aback by the charm and quirky details in this gorgeous guest house. 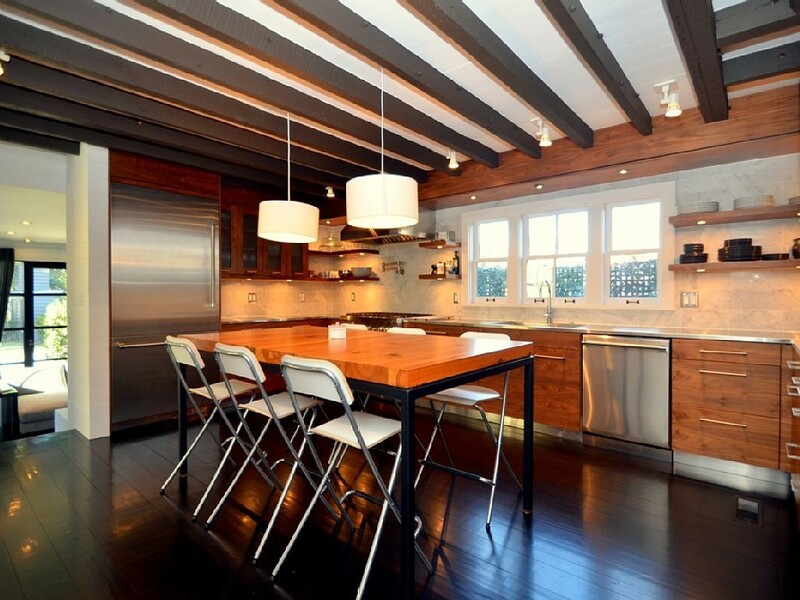 We normally wouldn’t post pictures of the the kitchen, but look at it! Starting from $600/night, it’s not cheap to stay here, but it’s an amazing location and offers up much more compared to similar places around the area. Oh, my. This place is breathtaking. With a fun and unique vertically designed layout, it’s got a look and feel like no other place we found. 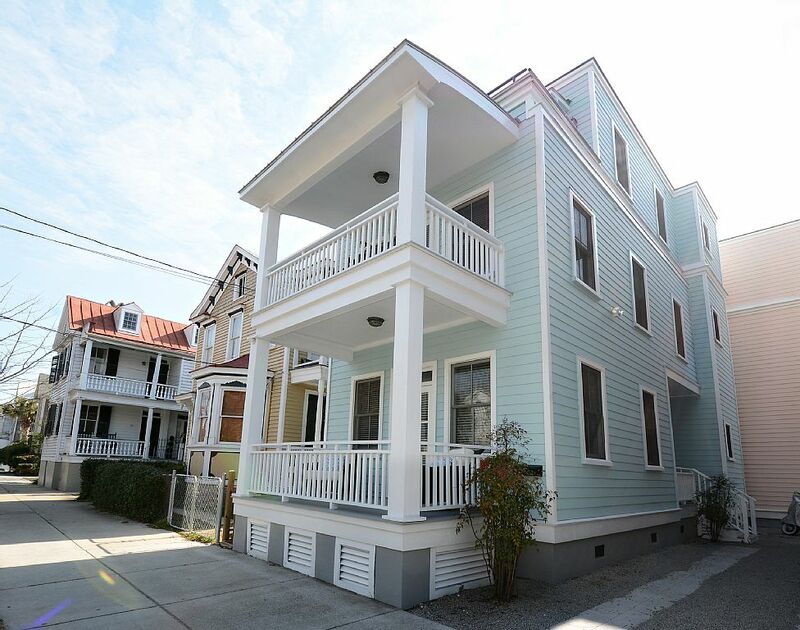 Just a few blocks from historic Upper King Street Restaurant & Design District, you won’t even need to walk very far to get in and enjoy all that Charleston has to offer. 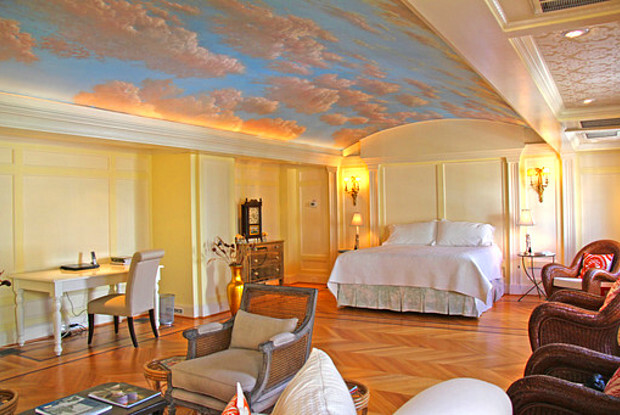 Just for the amazing ceiling paint alone, this is worth having a spot! Found on Apartment List, this fun little apartment embodies the word chic. You seriously can’t find a better spot to live in Charleston than a block from White Point Gardens and just two more from Broad Street. If they made movies here, this would be the apartment they’d film it in. Simply amazing! Okay, it’s a bit outside of Charleston, but if you actually need a bit more space, this place doesn’t disappoint. 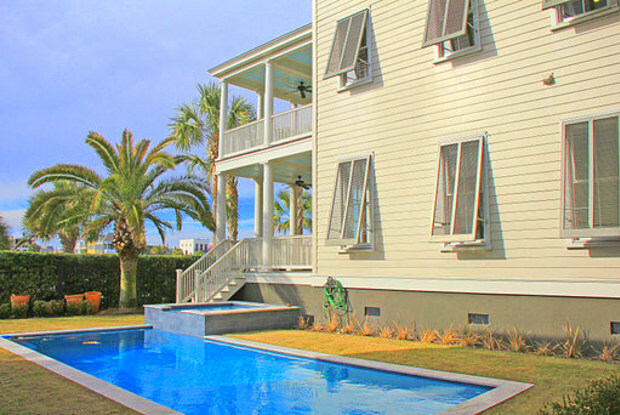 With a custom private pool, stunning views and a lot of included services. If you don’t mind a few minutes of driving, this place could be just what you’re looking for. 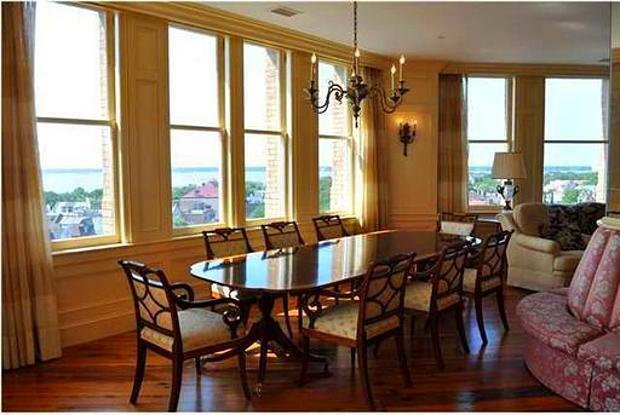 Anytime a former President (Taft) calls the views from the penthouse “finest view in Charleston“, our ears perk up. A rare location on Broad Street, rentals like this don’t pop up that often. 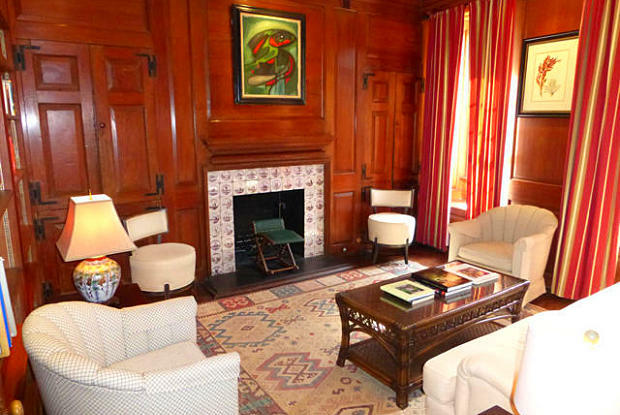 You’ll be singing the tune of $8,500 a month, but places like this are probably worth it. Last but not least, this fun and historic Bay Street apartment will be sure to impress even the pickiest apartment hunters. With great features like the walls made of richly-stained wood and literally walking distance to tons of shops and restaurants, you’ll be loving life here. Currently, you can sit yourself down here for $5,500 a month, a price that’s sure to make sense for living in such a historic and breath taking spot.